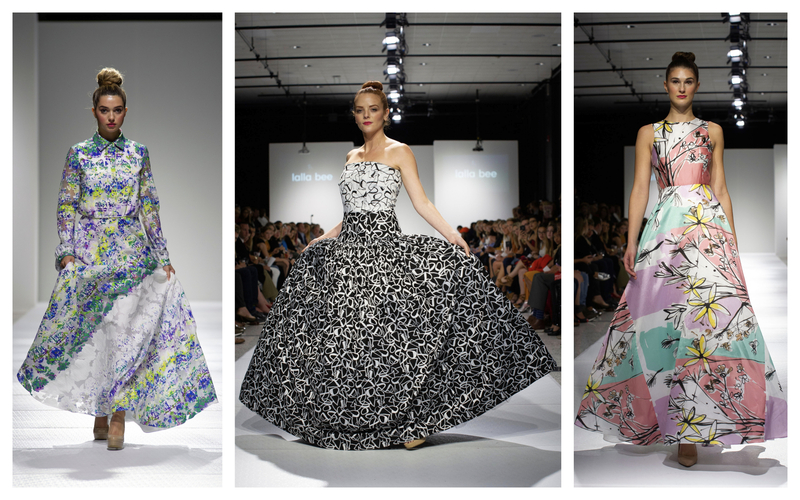 The closing night shows featured Clothes Horse Clothing, Rose and Thread, Lalla Bee and Kent Stetson Handbags. 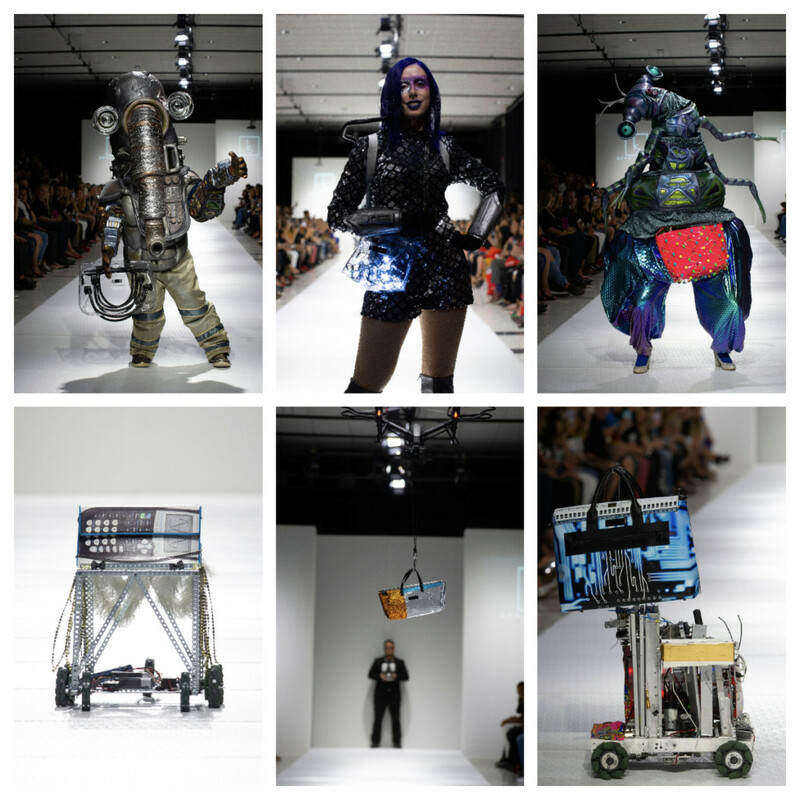 Kent Stetson subbed drones and robots in for models for his runway show. Photos by Myke Yeager Photography. The closing night of StyleWeek featured 1970’s looks by Clothes Horse Clothing, timeless sportswear by Rose & Thread, ballerina-inspired dresses and gowns by Lalla Bee, and the show-stopping runway production by Providence handbag designer Kent Stetson, which included robots, drones and Big Nazo creatures modeling the designs. Bianca Jones-Pearson of Clothes Horse Clothing creates handmade, one-of-a-kind, vegan garments that are inspired by vintage forms and styles. 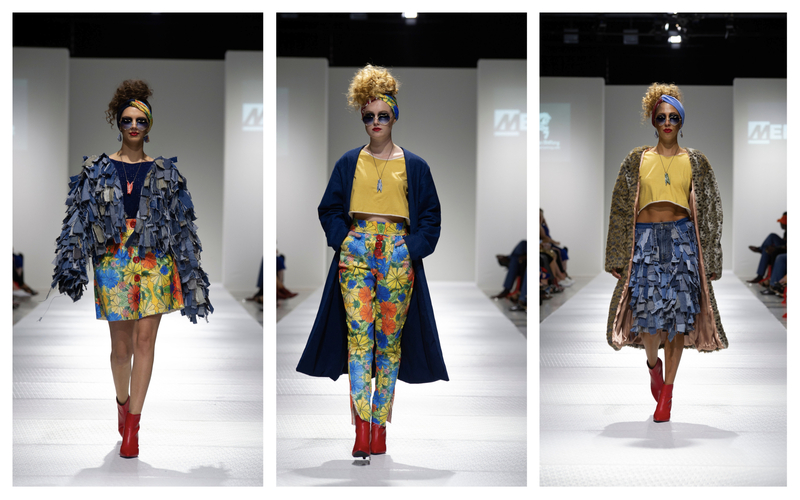 This collection had a 1970’s vibe with big colorful floral prints, denim and hair wraps. She sources materials from independent designers, textile recycling programs, vintage shops and United States-based textile companies. 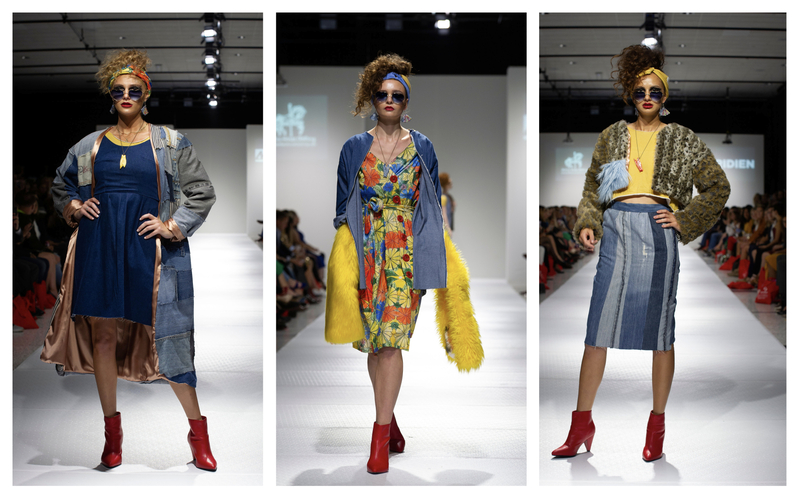 You can see some of the expert construction in some of the jackets and skirts she created from repurposed denim and faux fur. Clothes Horse is a cruelty-free company that will never use fur, leather, feathers or other animal-sourced products to create fashion. Clothes Horse Clothing. Photos by Myke Yeager Photography. 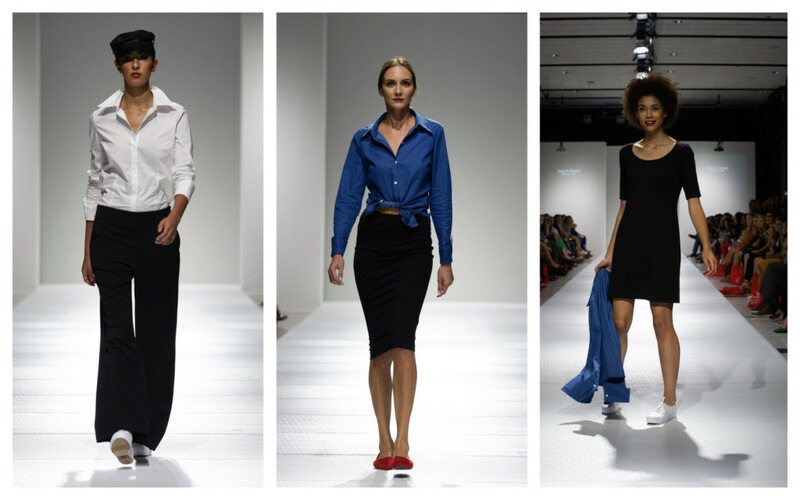 There’s nothing like the perfect basic white or black T-shirt, and Rose & Thread uses the most luxurious, comfortable fabrics to create shirts, pants, dresses and more that fit like a glove and stand the test of time. Designer Robin Barrett Wilson created this collection of timeless pieces that go from day to night seamlessly. Each piece is designed in Rhode Island and made in New York City using high-performance fabrics produced in the United States. Rose & Thread. Photos by Myke Yeager Photography. Dominican Republic native Melina Cortes-Nmili is the founder of Lalla Bee clothing line, which includes collections of vibrant, beautiful dresses and gowns that transcend trendiness. The Boston-based designer opts for classic, timeless looks that are more contemporary. 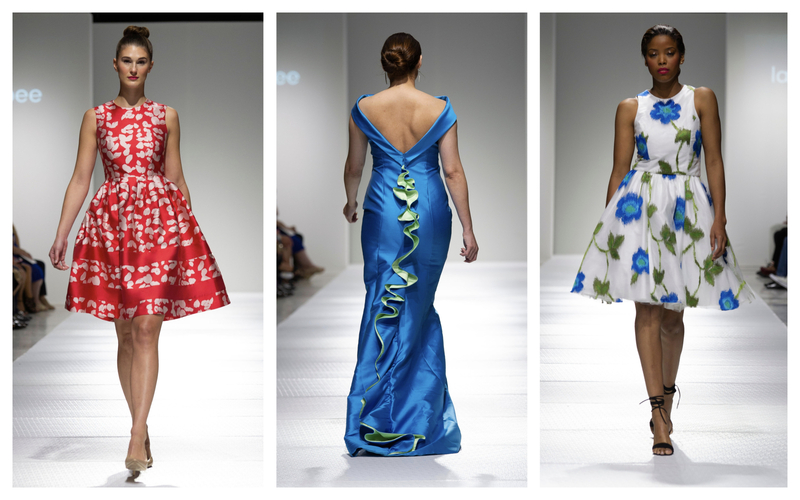 This collection includes bright floral prints, flattering silhouettes and ethereal mermaid and ball gowns that float down the runway. We especially love how this successful designer mama picked up her sleepy son from the front row and carried him for her walk down the runway. Lalla Bee. Photos by Myke Yeager Photography. 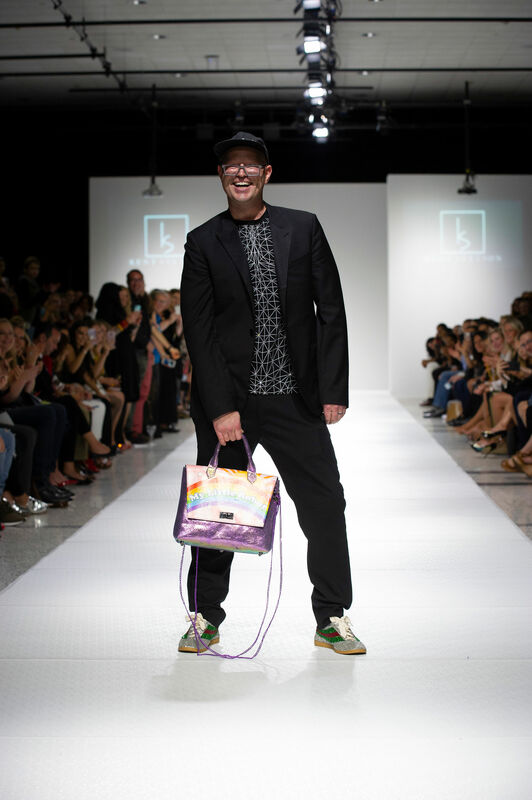 Providence handbag designer Kent Stetson (Kent Stetson Handbags) subbed in drones, robots and Big Nazo creatures for runway models in his StyleWeek Season 15 runway show. PCTA and Scituate 4H students built and operated the robots who modeled several of the handbags for this show, and the flying drones that carried purses overhead were smoothly-operated by One Cut Productions. The bags included transparent materials, intricate motherboard and graphic calculator prints and some even incorporated lighting into the stitching. At one point, three android models each touted a briefcase with a brain, a human heart and a light-up figure on them, which would be perfect for any doctor. The android girls modeled trench coats by Amy Stetkiewicz and rocked floor-length braids by Betha Wood and makeup by Holly Dalton. The original music was composed by Space Heater. Watch a video of the runway show here. Kent Stetson Handbags. Photos by Myke Yeager Photography. © 2019 Rhode Island Monthly. Enter your email for a chance to win a $50 Gift Card from Sarto. 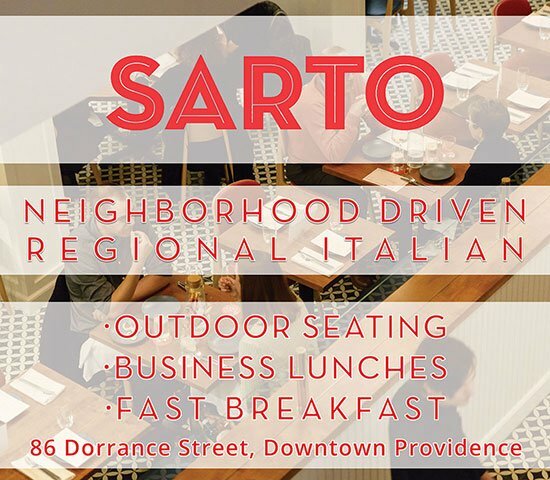 By entering this contest, you agree to receive occasional updates and offers from Sarto.